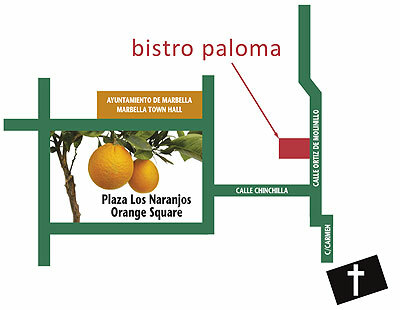 On Thursday 29th March the Peña Internacional Malaguista will be celebrating it's 10th anniversary with a night at the excellent Bistro Paloma just off Orange Square in Marbella (just around the corner from The Tavern). Officials and players from the club will be attending the event which starts at 8pm (don't know who yet but maybe Van N will be there as he lives close by, has been to the place before and speaks perfect English of course). The price is €25 which includes an extensive high quality hot and cold buffet including Stroganoff - beer, wine (bottle between 2) and soft drinks. You can pay on the door on the night.